The old Budapest in pictures – how did Budapest looked like a little bit before ? Budapest is an ancient city – the Roman era ruins still can be seen in several places. Hadrianus had a castle at the place of the Sziget festival in the Obudai or Hajogyari island. When they made the boat factory there they recognised the ruins of the Castle. The Hadrianus Castle had been reburied at that time in the 50-60’s. Formerly they thought it was a bath but came out it was a Castle. At that time, approximately 2000 years ago they already liked that place. 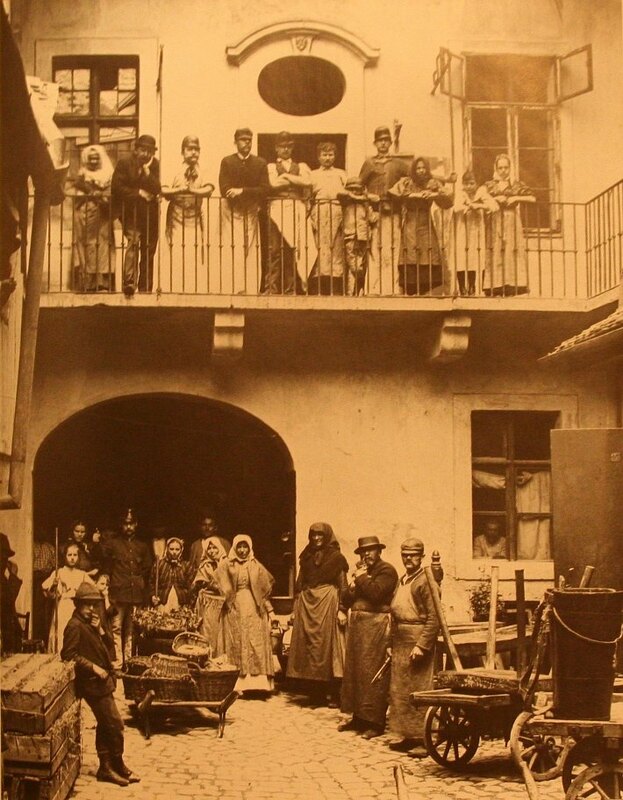 In the 18th century the area now called Budapest has approximately 10-15 000 inhabitants. In 1873 when the capital city was established with the unification of Pest Buda and Obuda, (those were separate towns at that time.) Budapest has approximately 300 000 inhabitants together with the suburbs. In 1900 Budapest has 850 000 inhabitants. Today 2.5 million people occur in the city, out of which 800 000 are not constantly live here. It is interesting to look back and imagine how Budapest looked like in the 16th,17th, 18th or 19th century, or the beginning of the 20th century. 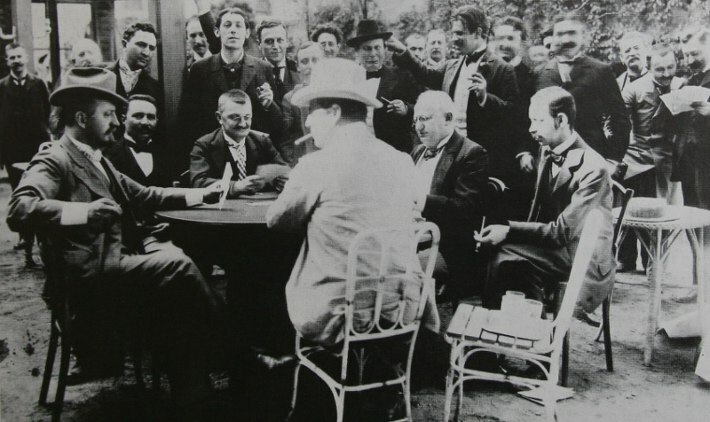 Unfortunately most picture are from the 19 and 20th century. 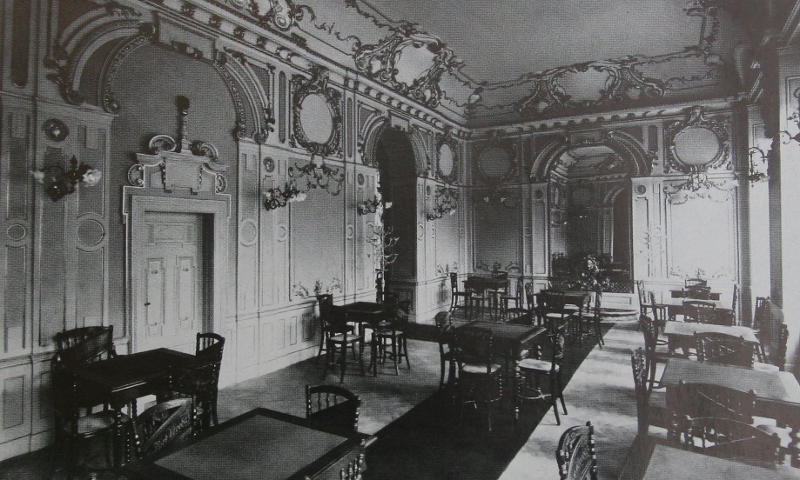 New York cafe house – in the 19th century the cafes were very popular: writers, poets and all kinds of people gathered at this places. 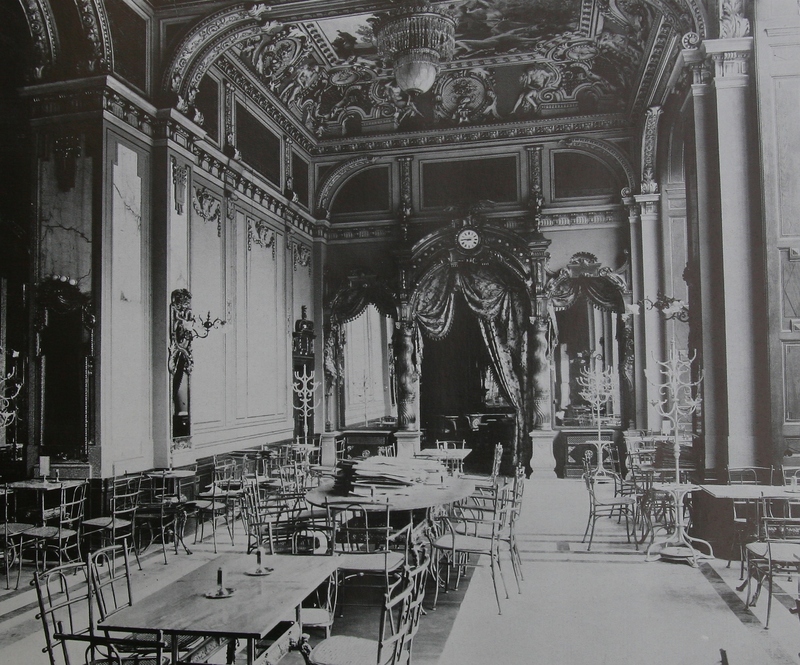 In 1848 the young poet Sandor Petofi and his friends started the revolution from the Famous Pilvax cafe house which was a usual meeting place of the young intellectuals of Hungary in the 5th district. Here they worded the famous 12 points of the Hungarian revolution in 1848. 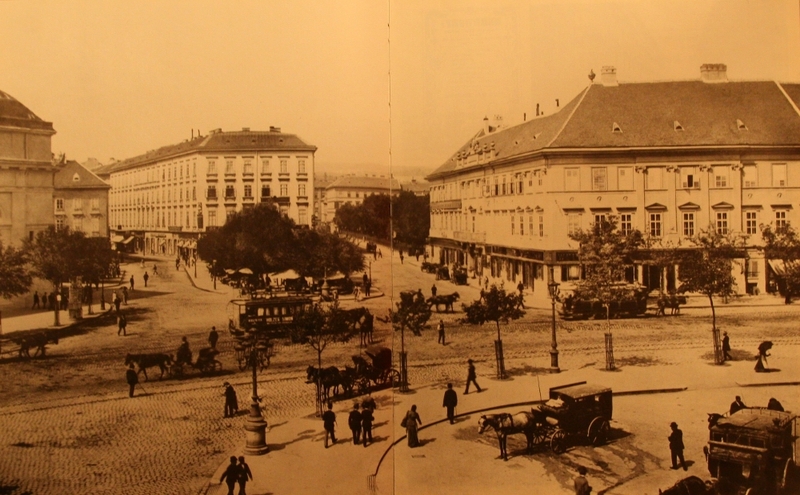 Deak Ferenc square in the 19th century right side two “Turkish” house bombed in the World War later demolished. Left side little bit can be seen from the Temple building. 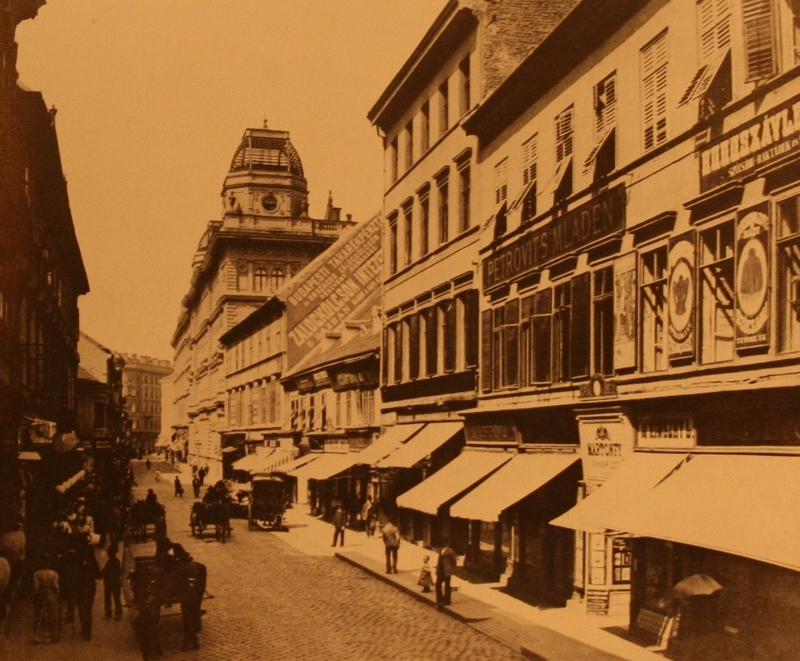 Petofi Sandor street next to Vaczi utca in 1890’s. 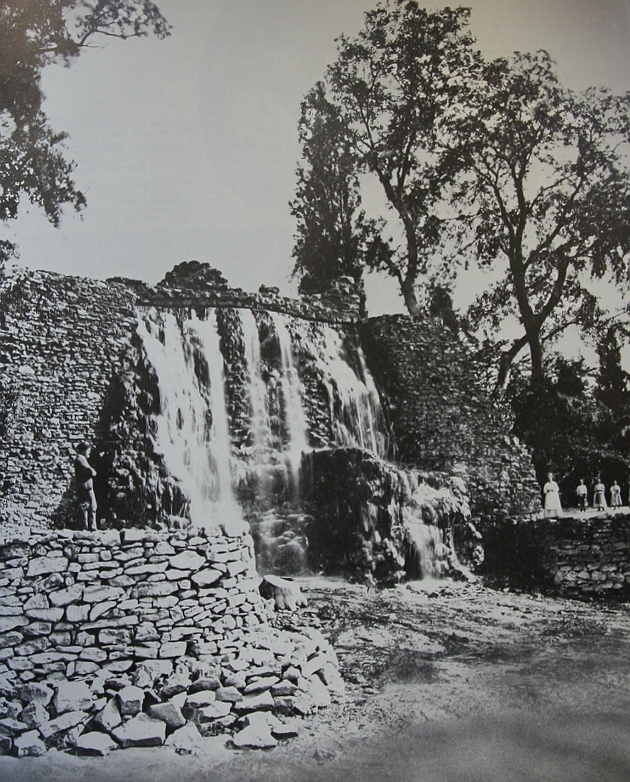 How the Citypark looked in 1900 ? See the pictures below. Feszty Arpad is going to install his famous painting “The Hungarian Invasion”. The biggest painting in Hungary, currently can be seen in Opusztaszer. The picture is 15 m x 120m in size (1800 m2.) Feszty see a similar picture in Paris and he first wanted to paint the flood, after his father-in-law Mor Jokai a famous Hungarian writer persuaded him to paint the Hungarian invasion instead. 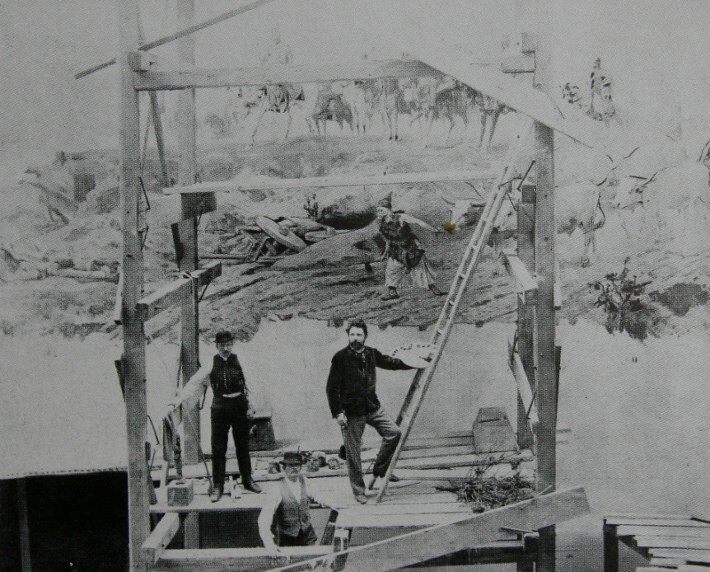 Feszty visited the place where the Hungarians arrived to Hungary, and the huge painting has been done by several people: Feszty, his wife, Ignacz Ujvary, Laszlo Mednyanszky, Bela Spanyi, Pal Vago and Henrik Papp, and Celesztin Pallya. At the end Feszty made the final work. The picture was installed in 360 degree in a circular building called Rotunda which was at the place of the Museum of Fine Arts.